Hey everyone, AlmightyDuke here! Welcome to the Graveyard Shift, the nightly chat space on Talk Amongst Yourselves, Kotaku’s reader-run blog, where you can talk about all the nerd culture you want. Whether you’re a long time TAY member or a newbie trying to say hello, take some time to introduce yourself. New to TAY? Check out TayClassic and the TAYtorial. Gotta go fast with your small talk? Try Discord or the IRC. Stop by our sister site AniTAY for all of your anime needs. Holla at your favorite TAYter via the DirecTAYry or the Gaming ID Spreadsheet. Also, we have a Steam group and a PS4 community! GET IN THERE. I’ve been really into Mario Maker of late. Not so much in playing the levels of others, but creating deathtraps to watch others fail. My levels are fair, there’s no trick to any of them. I just use the mechanics of the game to push the difficulty to the max. There in lies the issue. Over the last few days, I spent a few hours here and there creating a new level. 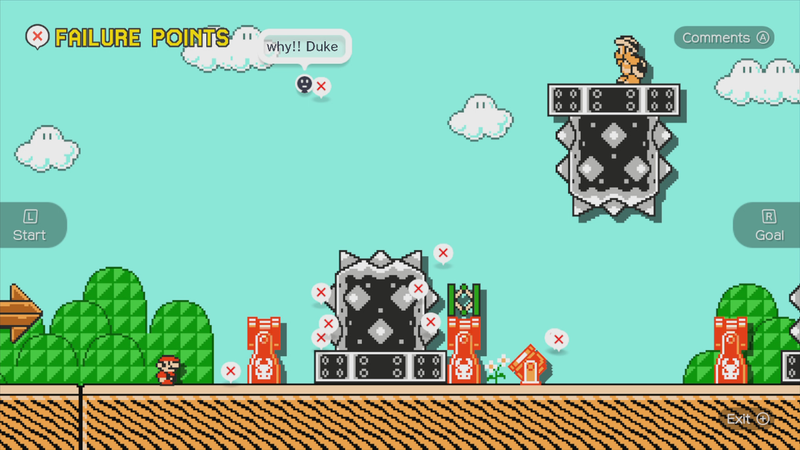 This level is an endurance course of sorts that require you doing a lot of spin jumps. I may have over-tuned the level a little much as I spent the majority of the time trying to pass it so I could upload it. After some careful editing and re-tuning, it got uploaded. Want to test your luck? Give my levels a go! Now with Dark Souls 3 around the corner, video game madness is going to be at an all time high. What game has caused you a sense of madness? What boss has driven you completely mad? Have you already gone mad? Are you well balanced person and madness is not a concern? Then talk amongst yourselves, the Graveyard Shift is open!